Our lovely volunteer, Kirsty, who has volunteered every Thursday morning for the past two years is now leaving us! 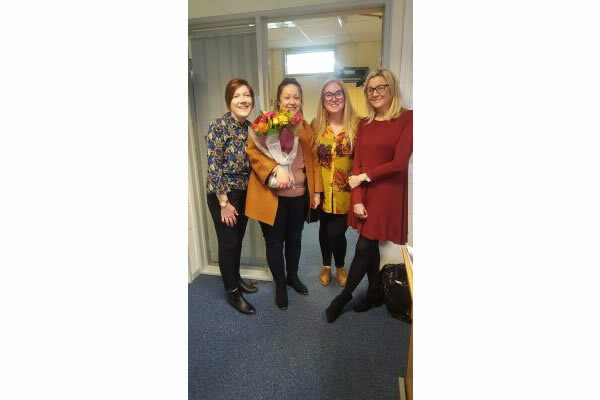 It has been a pleasure to work and support Kirsty, building her confidence and helping her gain employment, by offering her hands-on experience within an admin role and supporting her with her CV and signposting her to job opportunities. We are really sad to see her go, but so pleased for her on getting her perfect job! Good luck in your new role, you will be fab!